Both woolly mammoths and Neanderthals are long gone and the only information we can get about them are through skeletons and fossils. However, a new study sheds light on similar gene traits which could have been shared by both woolly mammoths and Neanderthals, even though their ancestors were from different groups of species. A new study conducted by the Tel Aviv University suggests that woolly mammoths and Neanderthals had similar genetic profiles, molecular properties which allowed them both to adapt to extremely cold environments. 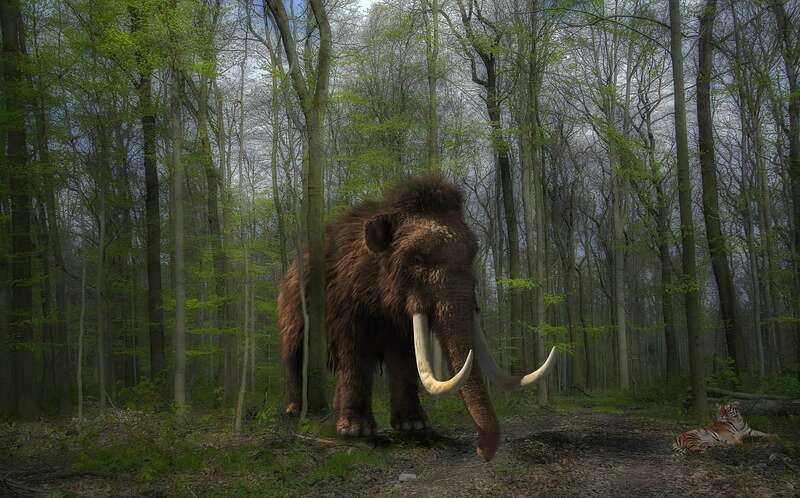 Woolly mammoths which highly resemble modern elephants evolved in the arctic peninsula of Eurasia 600,000 years ago, while Neanderthals, advanced species of early humans evolved in Europe around 400,000 years ago. Researchers recognize the human-elephant relationship during the times of the Pleistocene epoch because of their mutual ecology, given that they lived in the same environments. The research which was led by Professor Ran Barkai and Meidad Kislev at TAU’s Department of Archaeology and Ancient Near Eastern Cultures, published their findings in Human Biology. Researchers looked for clues in three case studies which looked at relevant gene variants and alleles – alternative genes which come to existence by mutation and can be found in the same place in the chromosome which is connected to our cold-climate adaptation. It was found in both woolly mammoths and Neanderthals. Researchers suggest that both woolly mammoths and Neanderthals share the genes because their ancestors that came to Europe adapted to the frigid living conditions caused by the Ice Age. It’s worth noting that both species became extinct at around the same time.